ROLI and UK distributor Sound Technology Ltd are pleased to announce immediate availability of the Seaboard Block, a uniquely versatile controller that brings next-generation expressive music technology into the mainstream priced at just £279.95. 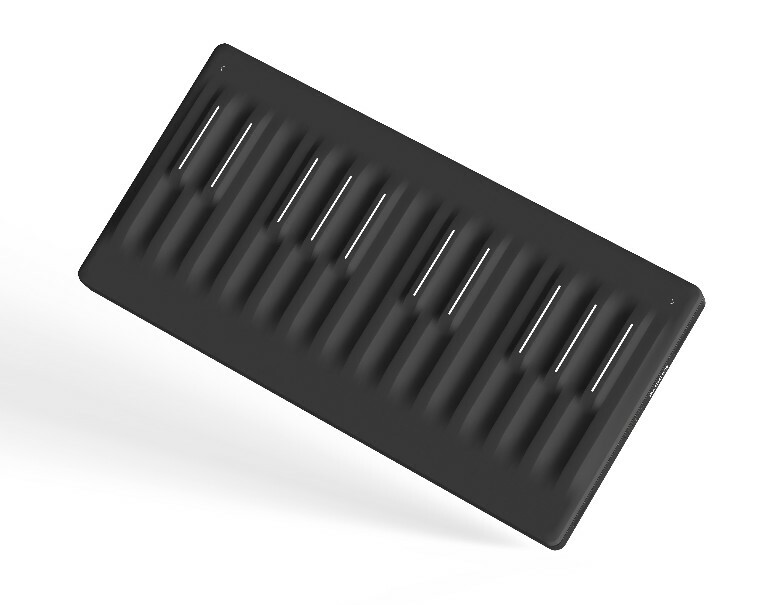 Seaboard Block is the newest model of the Seaboard, a touch-responsive keyboard interface that is one of the most acclaimed inventions in music technology of the last several years. ROLI’s first two models, Seaboard GRAND and Seaboard RISE, have won numerous awards and are played by artists including Stevie Wonder, Meghan Trainor, Steve Aoki, and Hans Zimmer. Called “incredibly deep” (Resident Advisor), “exciting, progressive, and potent” (Sound on Sound), and “the future of the keyboard” (MusicRadar), the Seaboard ranges in price from £699.95 to £8499.95. Seaboard Block is also the newest Block in ROLI’s modular BLOCKS system, which launched worldwide in November 2016. Indidual Blocks, each of which provide unique functions, can be connected together to build an expandable, customisable instrument for people of all musical backgrounds. Connecting to other Blocks — including other Seaboard Blocks — this 24-keywave super-powered keyboard is now at the centre of the world’s first mobile music studio. A wireless MIDI controller, Seaboard Block comes with a suite of music software and a diverse collection of interactive, expressive sounds. Equator Player is a new sound player for BLOCKS designed for anyone making music with a desktop computer. NOISE, the free app that pairs wirelessly with BLOCKS, is a mobile sound engine for making music on the go. 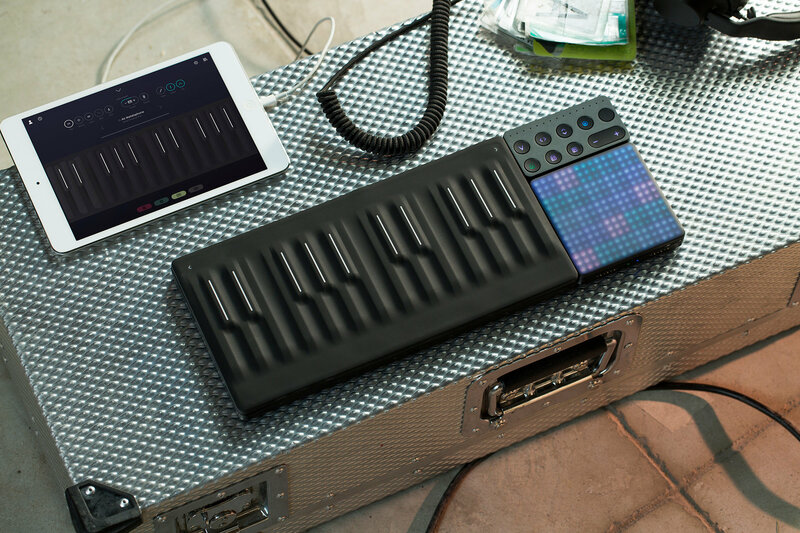 NOISE makes Seaboard Block a portable musical sketchpad that can be taken anywhere. NOISE and Equator Player both include over 100 expressive sounds from synths to strings. Alongside the launch of Seaboard Block, ROLI also releases six new soundpacks ranging from Vintage Electronic to Cinematica. Free with every Seaboard Block, the soundpacks put even more sounds at the fingertips of Seaboard Block creators. BLOCKS Dashboard extends the workflow possibilities even further by allowing creators to customise their setup with popular digital audio workstations and plugins like Ableton Live, Logic Pro, and Omnisphere. ROLI Touch Block is also available now. 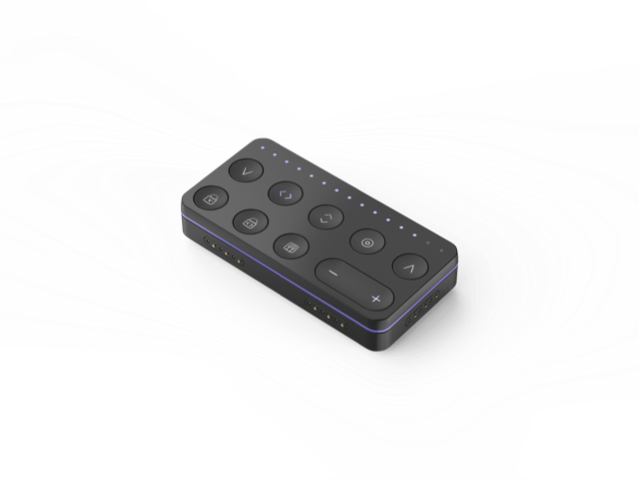 The same size and shape as Live Block and Loop Block, it provides a set of controls for adjusting the expressive behaviour of the surfaces of Seaboard Block and Lightpad Block. By clicking one of its controls, for example, music-makers can adjust how much their side-to-side finger movements bend pitch on the surface of Seaboard Block. Seaboard Block and Touch Block join Lightpad Block, Live Block, and Loop Block, expanding the BLOCKS family. In its first six months BLOCKS has won awards including Best Innovative Product (Musikmesse International Press Awards 2017) and Best in Show (NAMM U Awards 2017). Watch ROLI’s new films — Super Powered Keyboard and Play it Anywhere — to see all the musical possibilities on BLOCKS with Seaboard Block at the centre. A BLOCKS setup can be as simple as one Seaboard Block played wirelessly on the table of a coffee shop. Or it can be as powerful and personalised as a 10-piece performance instrument with multiple Seaboard Blocks, Lightpad Blocks, a Touch Block and a Live Block. There is no one shape to BLOCKS, and with the launch of Seaboard Block the possibilities of the world’s first modular music studio have expanded exponentially. A range of software is available for free on Seaboard Block and Lightpad Block. Visit ROLI.com/blocks for more information. ROLI is distributed in the UK and ROI by Sound Technology Ltd. For more information please call 01462 480000. ROLI is a London-based music technology company with a mission to extend the joy of music creation to everyone. 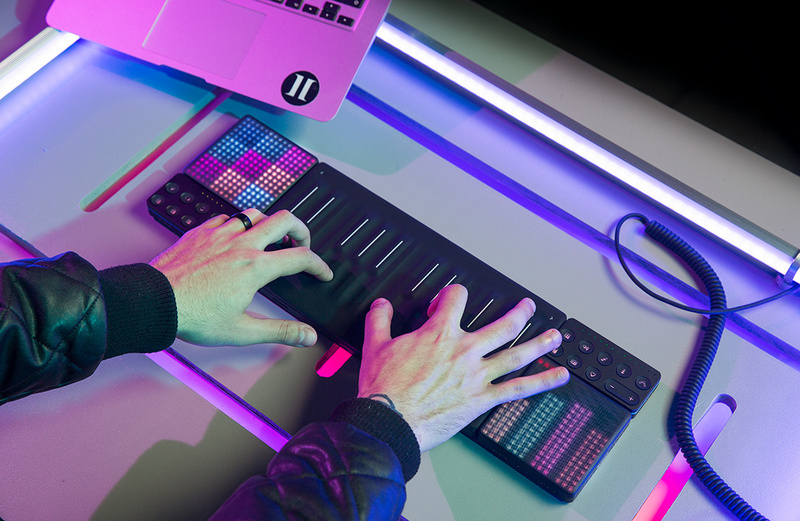 ROLI BLOCKS and NOISE are a new modular music creation system that lets anyone shape music through easy-to-learn gestures on powerful devices that connect together. The award-winning Seaboard RISE and Seaboard GRAND instruments — adopted by world-renowned artists like Stevie Wonder and Meghan Trainor — are an evolution of the piano keyboard that open new dimensions of expression. 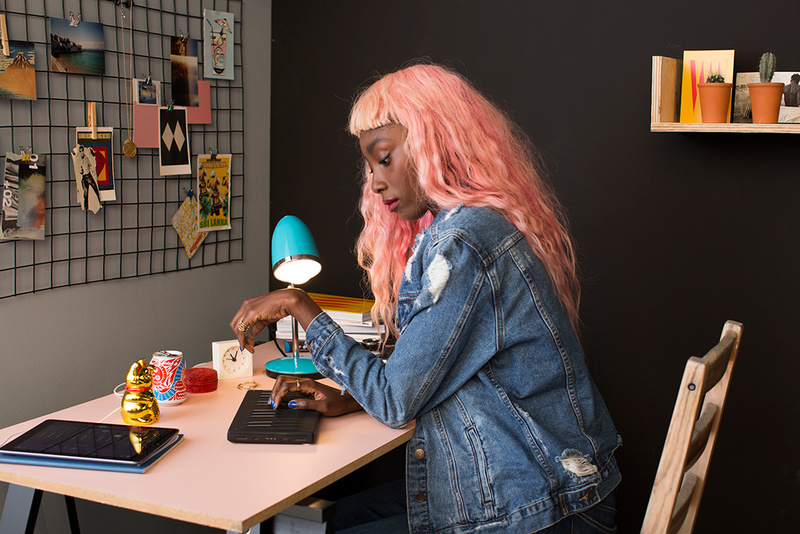 Professionals and people who have never played an instrument are making music in new ways through ROLI’s ever-growing ecosystem of Connected Music products. 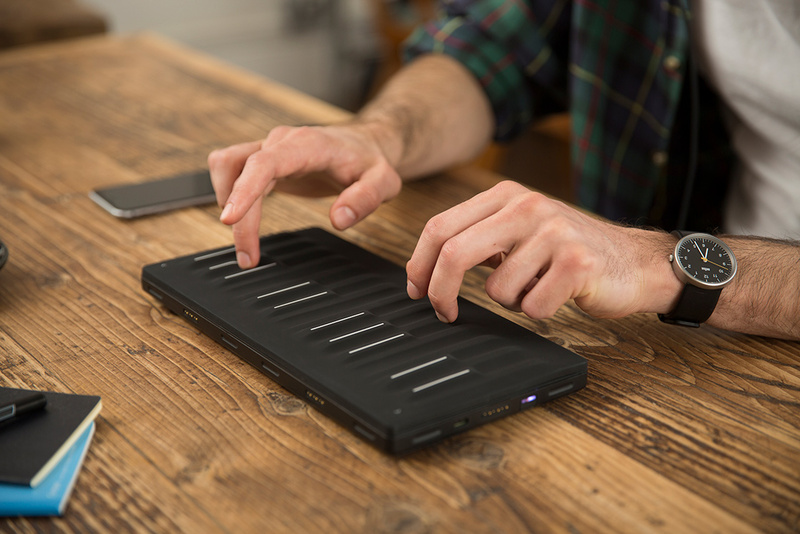 Take full control over the five dimensions of touch of your Lightpad Block and Seaboard Block, and change the way each instrument responds to touch.